18 by 16 1/2 by 12 in. 45.7 by 41.9 by 30.5 cm. 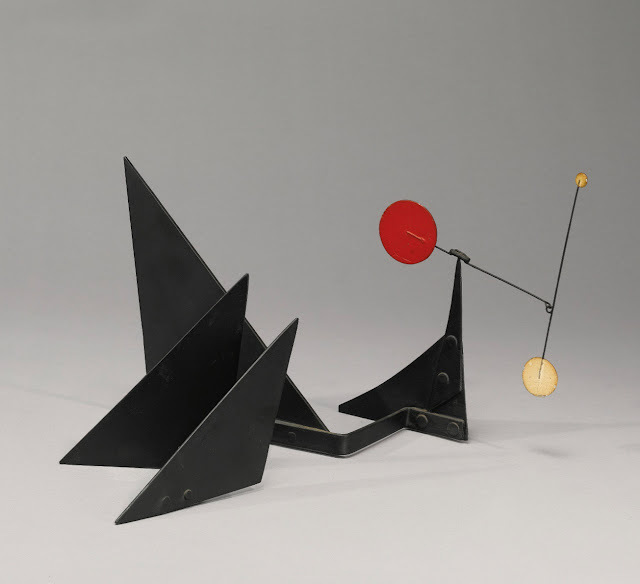 Sotheby's will offer some of Alexander Calder's finest desktop stabiles in their upcoming contemporary art sale. Most of these desktop Stabiles are from the 'mysterious' estate of the late Andrea Bollt who purchased them from Klaus Perls and Amelia Blumenthal, proprietors of the Perls Galleries in New York. Perls Galleries used to be the exclusive Alexander Calder agent for New York starting from 1954. These wonderful Calder Stabiles have not seen the daylight in the last 50 years. Few people even knew of their existence. 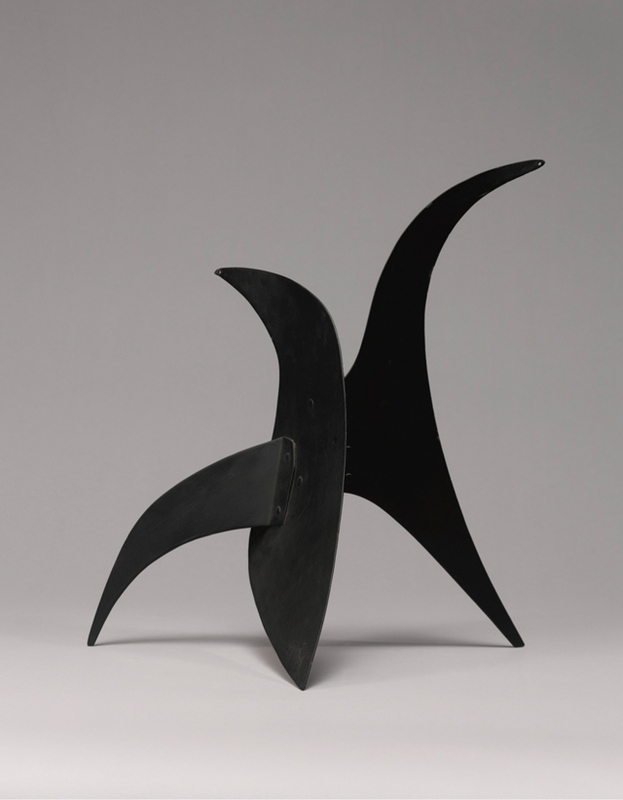 Scott Nussbaum and Johanna Flaum , specialists at Sotheby's Contemporary Art department, were in for a surprise when they were offered these Calder Stabiles by the 'Hawaiian' heirs of Andrea Bollt. We especially love 'Small City' which Alexander Calder made in 1964. 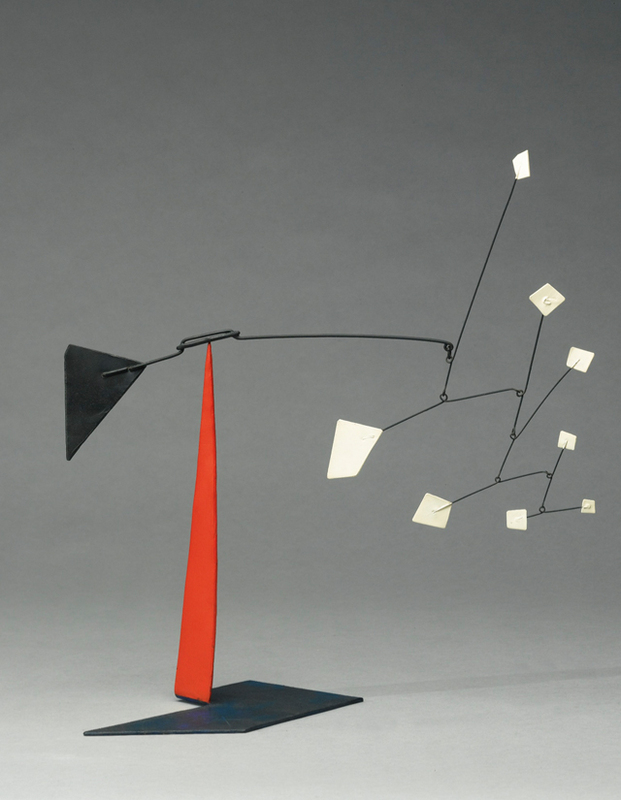 It captures the essence of Calder's large scale kinetic Stabile sculptures. With estimates starting at $150,000.00; they are quite a steal considering you cannot even buy a shoe-box for that price in Manhattan these days.